A Space Based Infrared System payload was delivered by Northrop Grumman Electronic Systems to Lockheed Martin Space Systems Company in Sunnyvale, California. This is the third payload delivered on the SBIRS Follow-on Production contract in 15 months. The payload will be integrated with a SBIRS geosynchronous spacecraft in preparation for its projected launch in the summer of 2016. 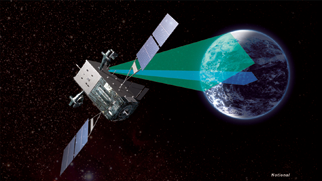 Artistic rendition of SBIRS GEO. Image courtesy of Lockheed Martin Space Systems. 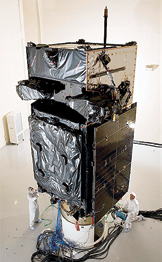 The GEO payload features a pair of infrared sensors which operate in multiple bands and provide expanded capabilities over the Defense Support Program satellites that it replaces. The scanning sensor is paired with a staring sensor to support strategic and theater missile warning, battle-space awareness, and technical intelligence. The fourth GEO satellite is the last production unit required to complete the geosynchronous portion of the SBIRS constellation. SBIRS during the build process. Photo courtesy of Lockheed Martin. The fifth and sixth GEO satellites, which were placed on contract earlier this year, will replace the first two GEO satellites at the end of their mission lives. The SBIRS program is led by the Infrared Space Systems Directorate at the U.S. Air Force Space and Missile Systems Center. Lockheed Martin Space Systems Company is the SBIRS prime contractor. Northrop Grumman Electronic Systems, Azusa, California, is the payload integrator. The 460th Space Wing at Buckley AFB in Aurora, Colorado, operates the SBIRS system. The Air Force Space Command’s Space and Missile Systems Center, located at Los Angeles Air Force Base, California, is the U.S. Air Force’s center of acquisition excellence for acquiring and developing military space systems. SMC’s portfolio includes GPS, military satellite communications, defense meteorological satellites, space launch and range systems, satellite control networks, space based infrared systems, and space situational awareness capabilities. 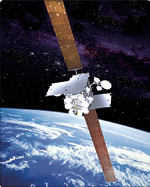 Inmarsat, in partnership with its VARs, has started to provide wideband communications capability to U.S. government customers through its Global Xpress service which will be carried over the first Inmarsat-5 satellite. Artistic rendition of the I-5 satellite. Global Xpress exceeded expectations during extensive user evaluations and tests. 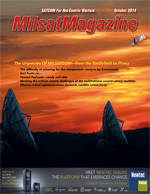 Users indicated that terminals were highly reliable under all operational conditions, providing seamless wideband SATCOM connectivity crucial to their mission requirements. The Inmarsat-5 military Ka-band steerable beam technology efficiently supports very high data rates and very small apertures enabling the satisfaction of previously unmet key mission requirements.Plus, the iDirect evolution-based Global Service Beam (GSB) performance met or exceeded data throughput available on older Ku-band services using satellite terminals of equal or smaller size. Additionally, Inmarsat and TECOM, a part of Smiths Microwave, have established a Memorandum of Arrangement (MOA) to manufacture Global Xpress® aviation terminals for the government market. Inmarsat is also expanding the availability of mobile tactical Beyond-Line-of-Sight (BLOS) communications to actively deployed U.S. and coalition forces through the skills of its partners and the capabilities of its powerful Inmarsat-4 satellite constellation. The company’s L-band Tactical Satellite (L-TAC) service delivers an ‘Ultra High Frequency (UHF)-like’ tactical satellite capability to existing military and commercial radios used by the U.S. government. L-TAC uses the significant spectrum resources of the Inmarsat-4 constellation to seamlessly augment UHF capacity on military satellites. It fully enables interoperable SATCOM using existing radios, waveforms and cryptography. In addition to adding much needed channels where UHF SATCOM is restricted, degraded or unavailable, L-TAC can also be used with VSATs. This allows the service to support secure BLOS Push-to-Talk voice and data networks for both encrypted and non-encrypted terminals, whether man-portable or installed in vehicles, helicopters, ships or other mobile platforms. To access the L-TAC service, users require only an easy-to-install antenna adaptor for their existing tactical radios. With the simple addition of this applique, no additional training, certification or infrastructure is needed. The L-TAC antenna is also significantly smaller than most UHF SATCOM antennae, providing the added benefit of a lower profile terminal. 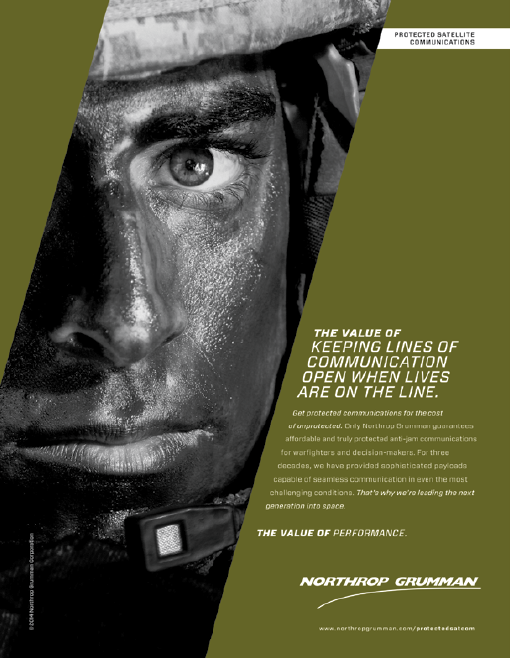 This interoperable augmentation capability allows tactical users to meet their security and reliability requirements affordably and cost-effectively through L-band spectrum leases for durations as short as one month. Tucked away in the cavernous NOAA Satellite Operations Facility, four airmen work together to oversee the operation of America’s weather satellite constellation. The Rockwell Collins ARC-210 radio recently became the first airborne radio to operate over the U.S. government’s newest satellite constellation—the Mobile User Objective System (MUOS). The MUOS system is based on cellular phone technology and represents a paradigm shift for Department of Defense satellite communications. The U.S. Air Force Research Laboratory (AFRL) conducted two weeks of MUOS ground and airborne testing. During the first week of testing, the ARC-210 was deployed in a ground environment for system operational tests that included conducting Over the Air Provisioning of the radios and passing of IP data. During the second week, airborne MUOS operations were conducted from a system installed in a C-17 Globemaster III aircraft to a communications base station at Joint Base Lewis-McChord Air Force Base located near Tacoma, Washington. Testing also included voice and data operations, with the ARC-210 becoming the first airborne radio to successfully transmit over the full MUOS satellite system. In addition to supporting Air Force planned testing, the Rockwell Collins team completed successful interoperability testing with the government’s ground MUOS radio, the AN/PRC-155. The ARC-210 currently contains Demand Assigned Multiple Access (DAMA) and Integrated Waveform (IW) satellite communications capabilities. With the implementation of the MUOS waveform, the ARC-210 will provide all expanded and modernized Department of Defense UHF Beyond Line of Sight (BLOS) capabilities, and enables the use of new warfighter applications for increased situational awareness and connectivity. The original one-year contact was signed in 2011 and had six, one-year renewal options. Under the contract with the American Forces Radio and Television Service (AFRTS), Intelsat General provides a global distribution network that delivers multi-channel, broadcast-quality radio and television programs to military forces and their families stationed outside of the United States as well as to military personnel aboard United States Navy ships at sea. The service, which incorporates on- and off-network capacity, reaches more than 200,000 people using 307MHz of bandwidth carried over 9 satellites, 6 teleports, and the IntelsatOnesm terrestrial network. In addition to a wide range of American news, entertainment and sporting events, the service carries the Department of Defense (DoD) News channel. 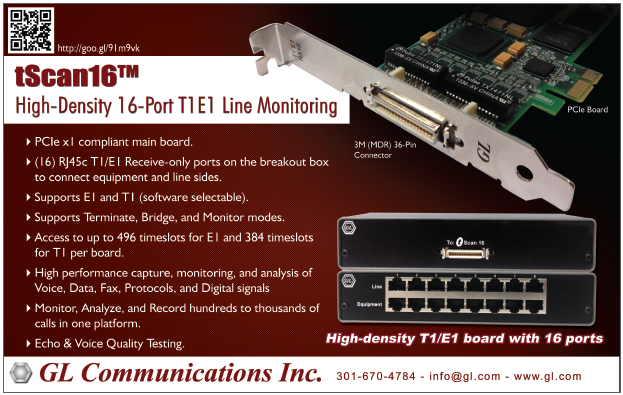 This modem takes advantage of Comtech’s more than 40 years of continuous troposcatter research and innovation to provide unmatched throughput for point-to-point, over-the-horizon communications. The first CS67500A modems have been integrated into the TSC-198V3 system and fielded to a US Army Expeditionary Signal Battalion for test and evaluation as a replacement for the legacy AN/TRC-170 troposcatter systems. The TSC-198V3 terminals have also been purchased by the US Army Integrated Air and Missile Defense program for use with Patriot Missile Battalions during global deployments. Comtech troposcatter systems play a vital role in the US Military C4I operations, providing intra-theater high-bandwidth range extension over beyond-line-of-sight distances, thereby reducing the demand on limited satellite bandwidth. 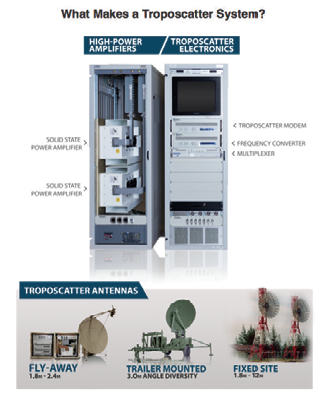 The very low latency characteristics of these troposcatter systems are ideal for the critical, time-sensitive information used in missile defense. An international version of the CS67500 platform will also be available in the near future. This will bring the CS67500’s increased throughput benefits to the commercial sector as well, providing essential high data rate, over-the-horizon communication links for offshore oil platform networks, arctic communications, remote power generation, and other communications applications.